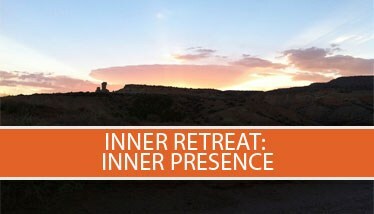 To truly enjoy life, we need to rise above the old ineffective emotional programs and strategies which we've unconsciously adopted, and learn instead to rely upon the Divine Presence, the Inner Life, the very core of our being, the only place where our deepest needs for inner strength, emotional support and well-being can be fully and reliably satisfied…This retreat offers replenishing and renewal, while developing a more conscious and real relationship with the Divine within us and surrounding us all. There is a deep and lasting benefit to immersing ourselves in the actual site and atmosphere of this Divine love and power – and to fill from this eternal well and re-orient our beings toward deeper fulfillment in our life. This journey we will share is way beyond religion and form, entering deeply into new alchemical / spiritual practices of peace, purification and real joy. We enjoy a candlelit hot springs cave to purify and rejuvenate before our journey to Tepeyac (Mexico City) to the site of the Black Madonna’s visitation and image. We will partake in a 500 year old sacred ritual to the Great Mother. Staying in one of the safest and beautiful villages on earth, San Miguel de Allende, at a magical retreat - Mansion del Bosque (mansion of the trees) will be our home away from home. We will enjoy, great food (cooked by Sophia!) and lovely authentic rooms. San Miguel is a world renowned artist colony and UNESCO World Heritage Site, full of music and arts / crafts, great bazaar and plenty of time to explore, with much celebration, processions, piñatas and fireworks. It is also a very important spiritual center on earth. Pre-requisite: Level II and Shadow course, or communication with Kimberly. It is most important of all to do everything we can to nurture our spiritual intelligence. 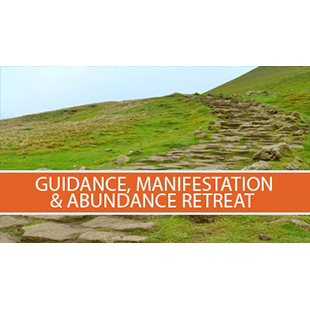 This retreat offers replenishing and renewal, while developing a more conscious and real relationship with the Divine within us and surrounding us all. Through sacred practice & dialogue, creative expression, golden shadow and ceremonial integration we will unveil more love, harmony and beauty with the One behind the veil – our Divine Ideal. We are all broken and redemption both, here on earth – to deeply experience ourselves and our world from a more loving and authentic perspective. Join us in creating a sacred space for real peace, joyful sharing and Divine celebration. 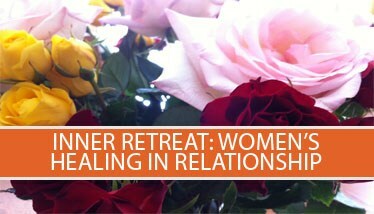 As women, we have a unique offering and responsibility to our world, our lovers, ourselves. This is rarely honored or understood, yet may be truly lived, if practiced, to achieve greater wholeness and balance of the vast beauty and power within us. A continuation of the attunement to awakening real Presence within, with a focus on the Divine Feminine energy through ceremony, prayer, ritual and celebration – very deeply healing and rejuvenating our selves and our world for the return and healing of the feminine soul. Enriching our conscious relationship with the Divine and bridging separations between the physical and the spiritual. A deepening of attunement through new practice and application, offers replenishing and renewal while developing more conscious and real relationship with the Divine inside and out. From happiness and commitment, to authenticity and watchfulness on the path, increasing skill with meditation and spiritual practice, love, sacrifice, personal problems, staying on the path, discovering what is the next step, and many more points of practical application. There is so often in this world a separation between the physical and the spiritual, in both thought and application. This is a real and grounded Way to begin to awaken our Spirit. The upgraded practices and exercises offer deep transformation and opening even if one has little previous experience in spiritual practices. The alchemy of purifying and uncovering the false in ourselves, our masks, longings, wounds and fears, our guests, our needs and dislikes, revealing our divinity, our sacred fruitfulness in life. As a gathering of souls dedicated to “Kind Truth,” we will enter into spiritual practice, shadow dialogue, inner/outer psychodrama, relationship practices, archetypal and shamanic vision, transformational art, and soul quality identification and exploration. We will explore levels of healing in relationship, increasing life force with gentle new ways of processing our “reality.” This is a very safe and Divine treasure hunt and the foundation for unearthing the real Self. All spiritual progress is simply the constant discarding of the false (self). The central theme of the whole of creation is attainment. Be it spiritual or worldly, within the striving of all souls is the Divine Impulse in action. All is possible. Impossible is made by the limitations of our capacity to understand the laws of nature. The real secret of the working of this universe is in the duality of nature, the two forces, which balance all life. It is not selfish to want to succeed in life, for success is the means by which ones soul is inclined upward. Yet, without knowledge, one may destroy ones own purpose, even with ones own strength or over-enthusiasm. To fully comprehend how to desire is crucial, because no one alive is not striving for something.